Waste and Recycling Industry Queensland’s Rick Ralph tells Waste Management Review about how the Future Waste Resources 2018 event will explore practical solutions for the industry. The Waste Recycling Industry Queensland (WRIQ) is hosting the Future Waste Resources Convention 2018 (FWR 2018) to facilitate discussions on practical ideas that tackle the challenges facing the waste, secondary resources and recycling industry. It aims to showcase the achievements of the Queensland waste and recycling industry and will bring state and local governments, waste and recycling companies, and the public together under one roof. Rick Ralph, CEO of WRIQ, says it is critical to realign broader community confidence and understanding in the industry in an effort to help educate them on the achievements and possibilities that the sector can deliver. “For the first time that we know of at an industry convention we’re opening the doors to the public so they’re able to engage and see the professionalism and expertise on display,” Rick says. “The public needs to be able to see the innovation in action. That’s why the event will have educational information for both the public and all our stakeholders about future technologies, such as the different forms of waste to energy options, better utilisation of surplus produce and showcasing Queensland electric battery-operated waste vehicles. 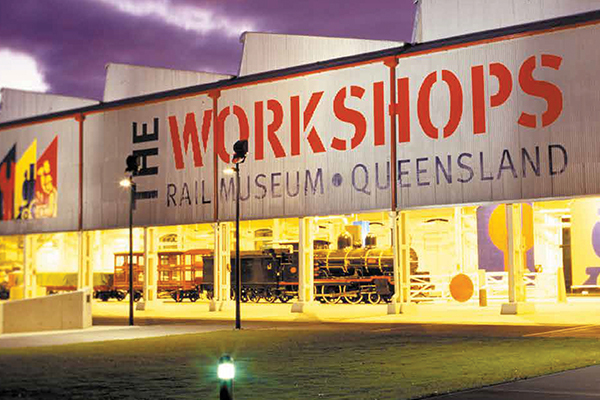 “The convention will take place in The Workshops Rail Museum in Ipswich, specifically to rebuild trust and re-establish the conversation and transition from the old thinking to new futures,” he says. Six key topics will be explored at the convention, including presentations on material quality, bio economy, production and packaging, waste to energy and construction. The event has been structured around the individuals, governments and businesses that are currently delivering real solutions needed for the future and demonstrating what can and is being achieved. FWR 2018 has partnered with the Queensland Government and the City of Ipswich to strengthen relationships and encourage collaboration between the industry and all levels of state and local government bodies. Rick says by doing so, it has the potential to be a catalyst for change to the state’s policy and regulatory frameworks. “Currently, Queensland’s planning and other regulations are complex and fractured when it comes to waste, meaning you can’t physically build anything without arduous timelines. The process is not conducive to fast tracking smart technologies and other simple and sound investment decisions,” he says. “Government at all levels are central to this complex decision-making process. If our governments and elected representatives are able to achieve a more harmonious relationship with the sector and understand how it operates – this can lead to more macro reforms being achieved. “We will even be announcing a major shift in how the state government will change the landscape of the local waste and secondary resources industry at the event,” Rick adds. The exhibition will have equipment offerings on display and the latest industry innovations and technology being developed in Australia. “Queensland’s waste and recycling industry has the solutions. The industry is doing some very clever stuff and it is a keen collaborator.